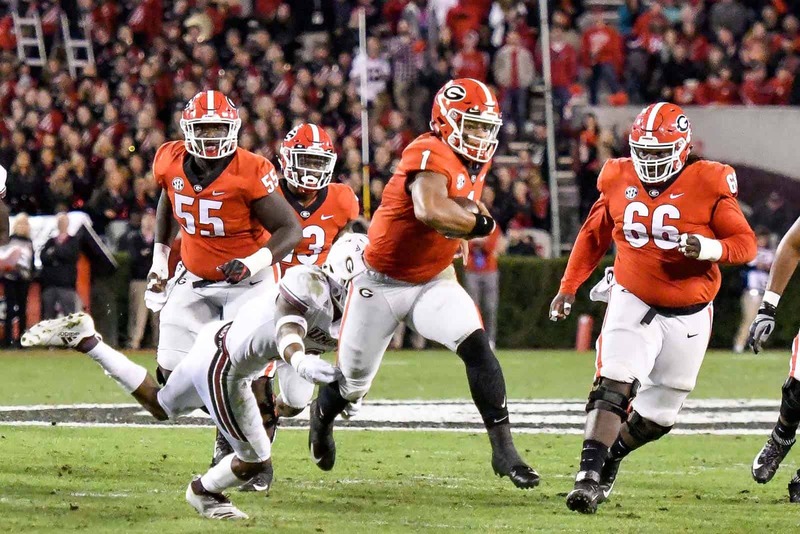 The Georgia Bulldogs are ranked 5th for the third week in a row in the College Football Playoff Rankings following their 66-27 win at home over UMass on Saturday. Alabama remains in first-place for the fourth consecutive week. Clemson (2), Notre Dame, (3) Michigan, (4) and Georgia (5) complete the top five of the College Football Playoff Rankings. Other SEC teams ranked in the Top 25 include LSU (7), Florida (11), Kentucky (15), Mississippi State (18), and Texas A&M (22). The College Football Playoff Selection Committee will release their Top 25 rankings next week on Tuesday, Nov. 27. On Sunday, Dec. 2, the College Football Playoff Selection Committee will announce the Playoff Semifinal pairings and semifinal bowl assignments. Those will be followed by the pairings for the remainder of the New Year’s Six bowl games.